ESCANABA — CARLY PEARCE, the new voice of country, takes the stage at the U.P. State Fair on Monday, August 12. “Every Little Thing,” which chronicles Carly’s life, led her to join an elite group of only three women to accomplish the highest charting solo female debut in the past 13 years. She went on to release two more chart-toppers “If My Name Was Whiskey” and “Hide The Wine.” Carly then began touring with major tours such as Blake Shelton, Thomas Rhett, Rascal Flatts and Luke Bryan. Grandstand Entertainment at the U.P. State Fair is free with paid admission. A limited number of Gold Circle tickets for up close seating are available by contacting the presenting sponsor, Island Resort and Casino at 877-475-7469 or online at islandresortandcasino.com. 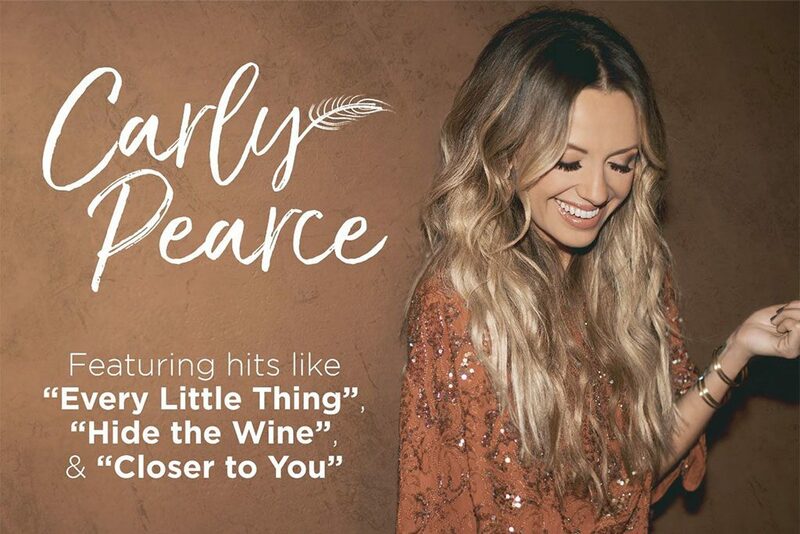 Share the post "Country music’s Carly Pearce to headline U.P. State Fair"
Categories: Delta County and Entertainment.